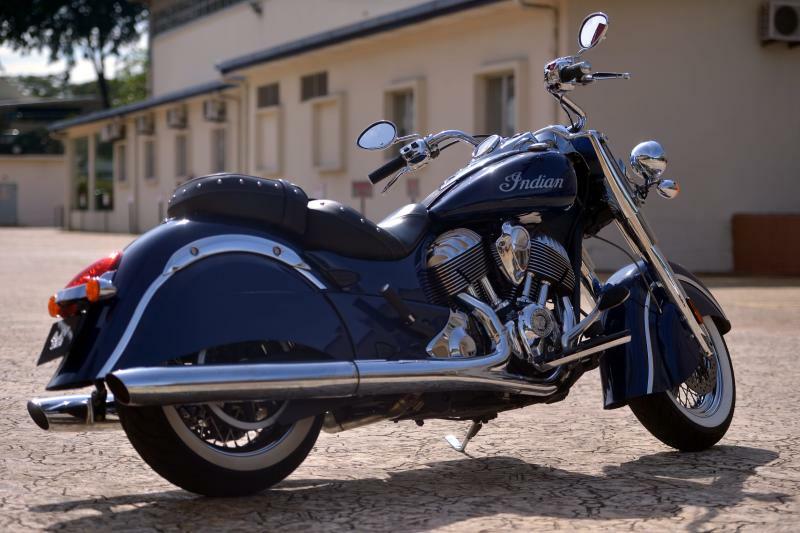 The Indian Chief Classic is a cruiser with very little extras which allows an owner to personalise it thus making the bike an extension of each Indian Chief Classic owner. The minute I laid my eyes on the bike, I was attracted to the overall vintage design which is stylish and cool. 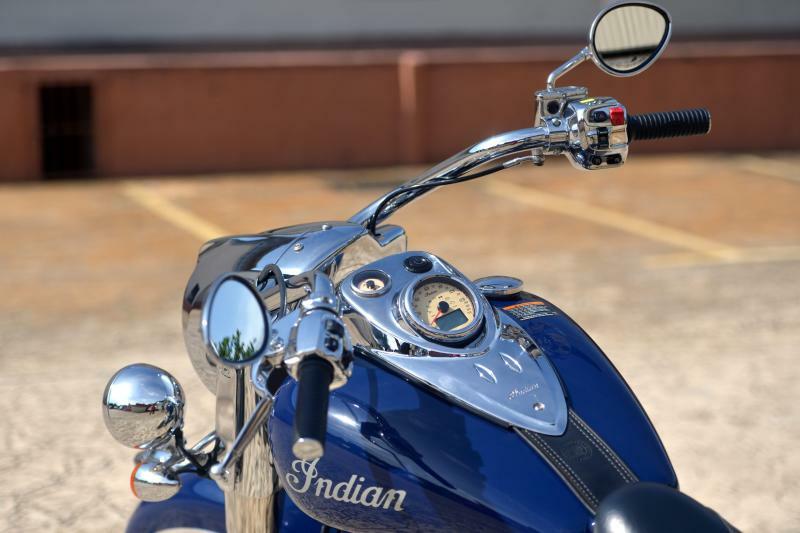 The big round chromed headlight, fuel tank marking with the word “Indian” and the very retro front and rear fenders; which all of these are synonymous with the American brand since the 1940s. Once I sat on the 1,811cc bike, I realised there is so much of metal and chromed parts compared to many present bikes which have more plastics. I carefully inspected the workmanship of this bike and was simply amazed with the design and the attention to the details. Every single screw and bolt on this bike and how the wires are concealed in this bike, are definitely a work of art. 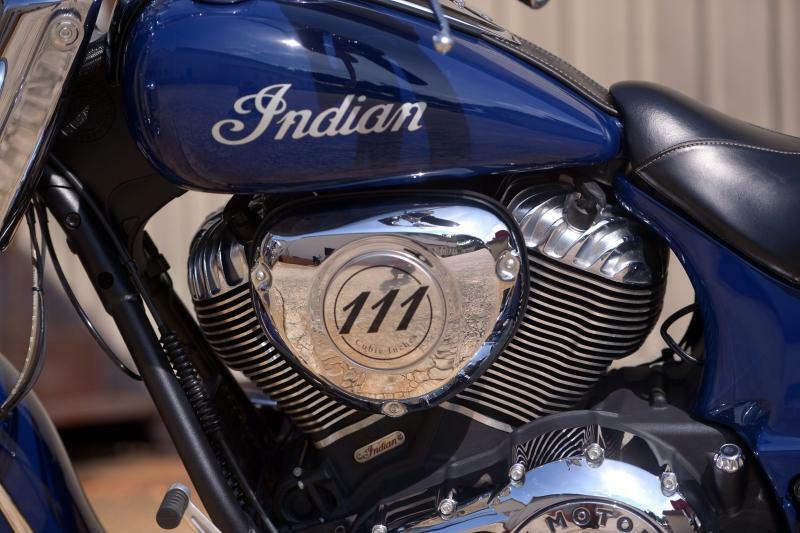 One thing I really adored on the Chief Classic is the head of a Red Indian built on the front fender. The face lights up the moment I fire up the bike at night and it looks awesome. I was lucky to have the bike with me for three full days. Every time I took the bike on to the road be it in the city or on the highways, the bike’s presence is so strong. 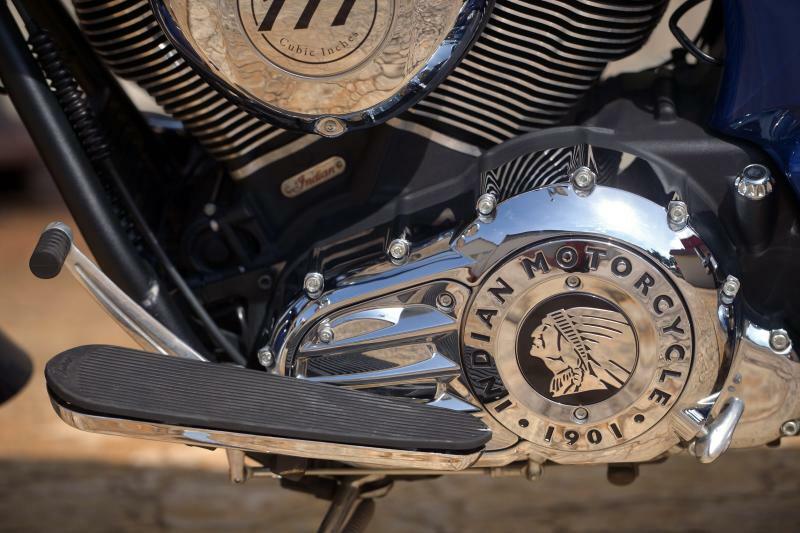 Under the sunlight, the stunningly designed chromed engine, the handle bars and the headlight are eye-catching. 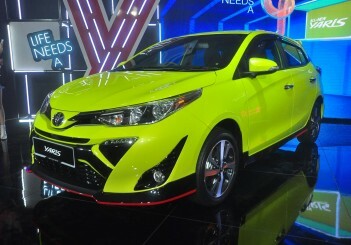 Not to forget the size of the bike which further enhances its persona. 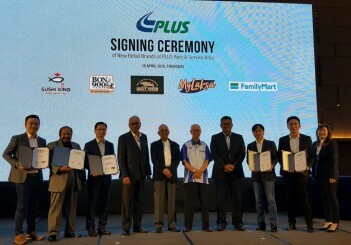 The first 45 minutes of my ride on the highway to Tanjung Malim, I found the Chief Classic to be easy to handle and manoeuvre despite the size and weight. 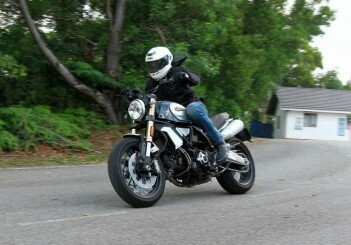 Together with my riding mate, Mr Bo who was on a Ducati Diavel, we realised the impressive torque of the Indian. 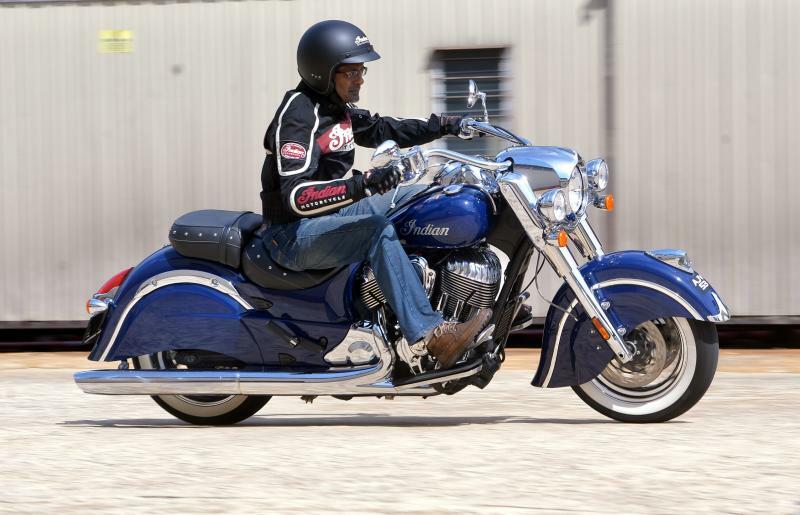 The Chief Classic’s power delivery is progressive with maximum torque of 161.6Nm peaking at 3,000rpm. 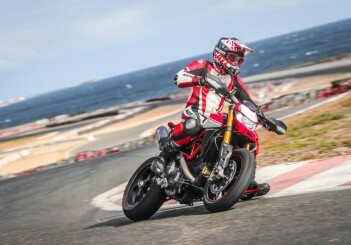 I was able to power up on the road, leaving the Ducati behind before Bo caught up and overtook me a few minutes later. There is plenty of power on tap which works well with the cruiser’s good handling and ergonomics. 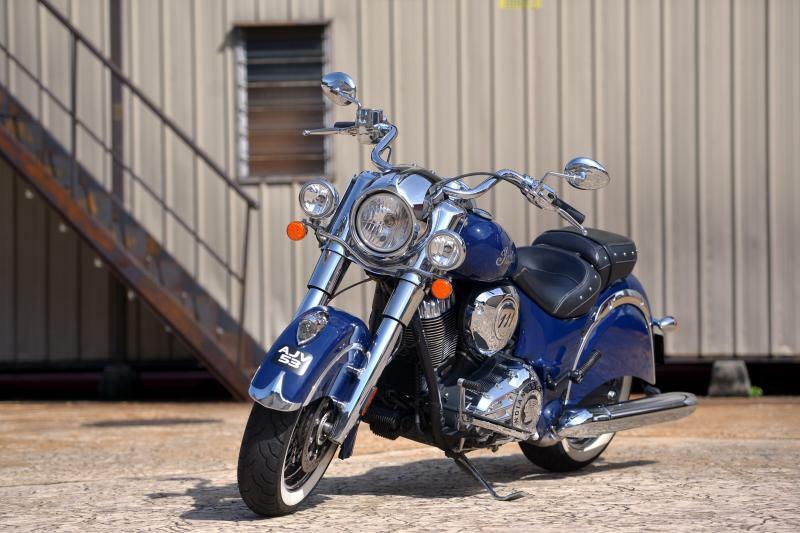 A must mention is the Chief Classic’s ergonomics which is spot on for a cruiser design. The pullback handlebar is light and easy to reach without tiring my arms, the ample space saddle and the foot controls plus the foot boards are perfectly positioned. The sound of the engine is so likeable especially when your surrounding is quiet. It’s a smooth tone blended well to produce a pleasant melody coming out from the twin tail pipes. enough to give me the speed that I want. The gears are smooth be it up or down shifts. 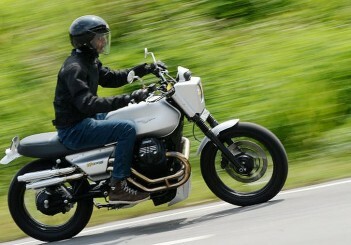 Meanwhile the clutch lever is light on the fingers, even my skinny three fingers are good enough to pull it. 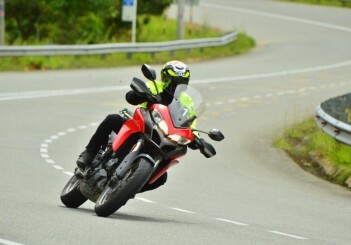 On few occasions while riding, I did not realised that I was going much above the legal speed limit. 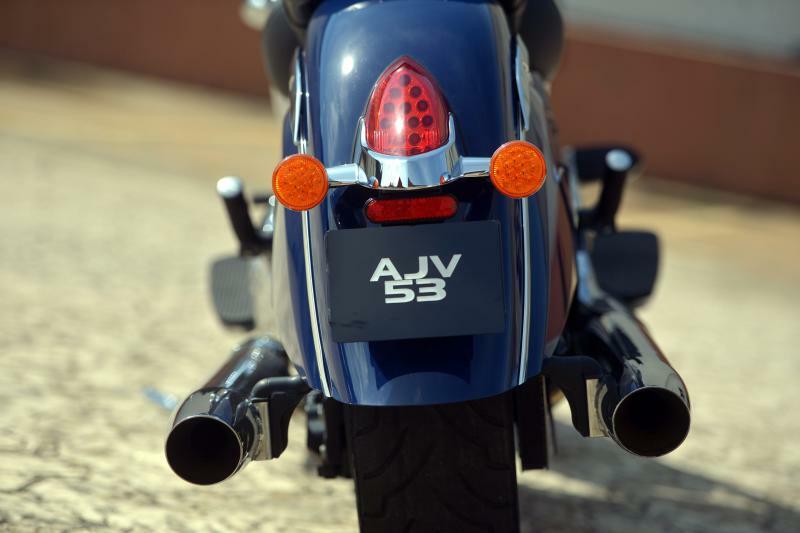 The smooth acceleration and the reliable chassis made the bike steady even breakneck speeds. And for a 357kg machine, acceleration was still a breeze. Throttle response was immediate at whatever speed and rpm I was on. The bike behaved and performed as commanded. The Chief Classic was at home tackling few tight twisties and sweeping corners, thus making me forget how heavy the bike was. The bike behaved like most two-wheelers half its weight. Simply amazing. I rode the Chief Classic on every possible surface one can think of; humps, bumps, uneven and muddy stretches and water-logged roads. I was impressed with the abilities suspension of this cruiser to take on so much punishment. 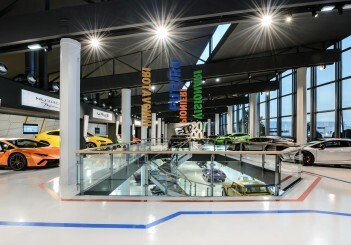 The suspension were made of a front 46mm cartridge fork with 119mm of travel and its rear shock offering 94mm of travel. For a bike of this size and weight, brakes are very crucial. I did few sudden stops at 100kph and the bike came to a halt confidently. 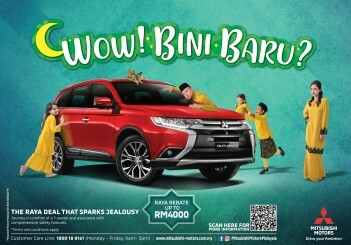 And while it was raining on my way from Bukit Jalil to Semenyih, the brakes did not fail me when I was cruising at 80kph. 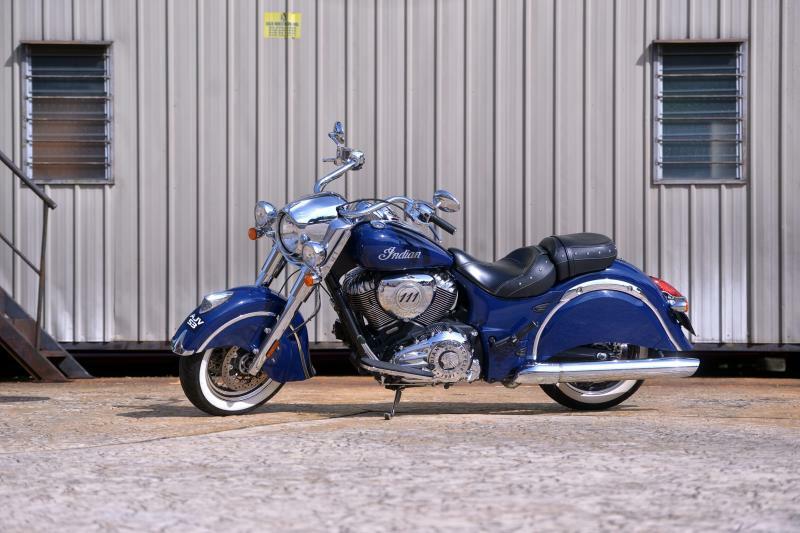 The Chief Classic is equipped with 300mm discs together with dual four-piston calipers in the front and the rear is fitted with a twin piston caliper. The anti-lock braking system (ABS) on the bike is definitely welcomed when you need to stop without losing control on such a big machine. 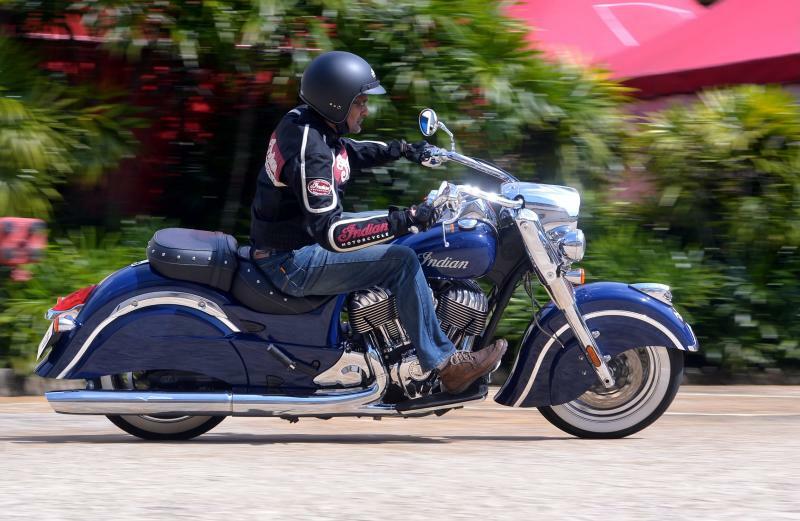 Priced at RM168,000 (without GST), the Chief Classic is a masterpiece that deserves all the praises for its design, performance, comfort and safety. 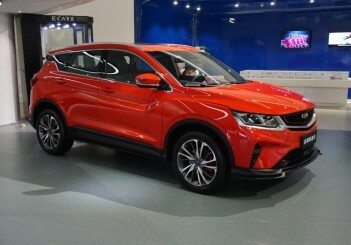 This is one cruiser that I will assure you will still maintain its showstopping aura even after 10 years.